19. What’s an RPG item that features awesome writing? Here are three role-playing games I’ve enjoyed reading as much or even more than I have enjoyed playing. Weapons of the Gods (Eos Press) featured Brad Elliott as primary system writer, and Rebecca Borgstrom (now Jenna Moran) authoring the fiction and setting material. 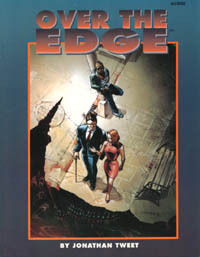 It is one of a very few RPGs containing fiction I enjoyed for its own sake. Unknown Armies (Atlas Games) is best known for Greg Stolze and (in the first two editions) John Tynes’ snarky, idiosyncratic, witty writing. 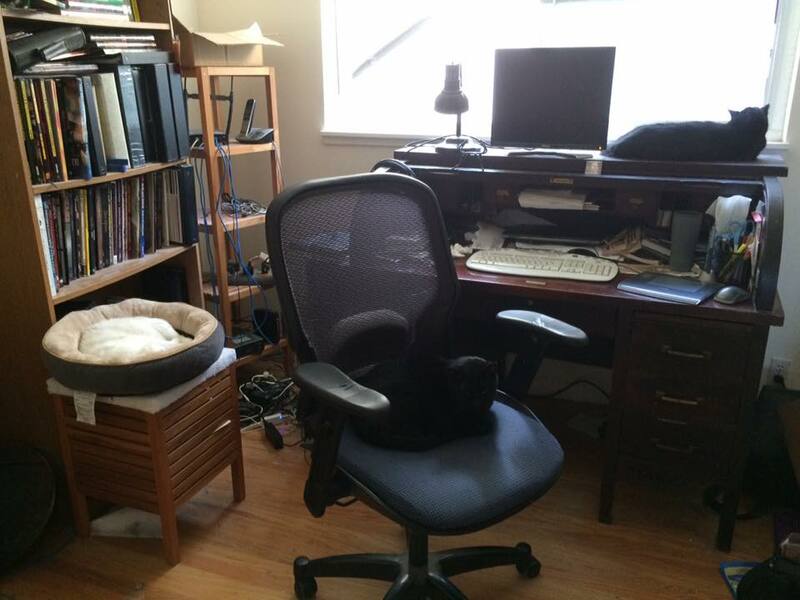 I have loved every edition and I was honoured to have a small part in helping write the third edition. Mutants & Masterminds (Green Ronin Publishing) is another that has known three editions, every one of which I loved. 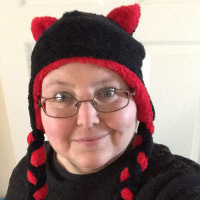 I particularly enjoyed Steve Kenson’s sharing of his thorough knowledge of the superhero genre and explaining his reasoning in making design choices so that game-masters can use the same tools. It really helped me realize what I’m looking for in GM advice. RPG a Day: We can do that? Free-form skills, as introduced by Over the Edge (Atlas Games). They changed the face of gaming for me, turning characters back into concepts, not the piles of numbers they had been reduced to by earlier RPGs. Character troubles and backgrounds as stories a player wants to pursue, not a source of of disadvantage points to min-max with. First encountered in 7th Sea (Alderac Entertainment Games). A range of success that includes No but…, Yes but…, and Yes and…, as first encountered in octaNe (Memento Mori Theatricks). 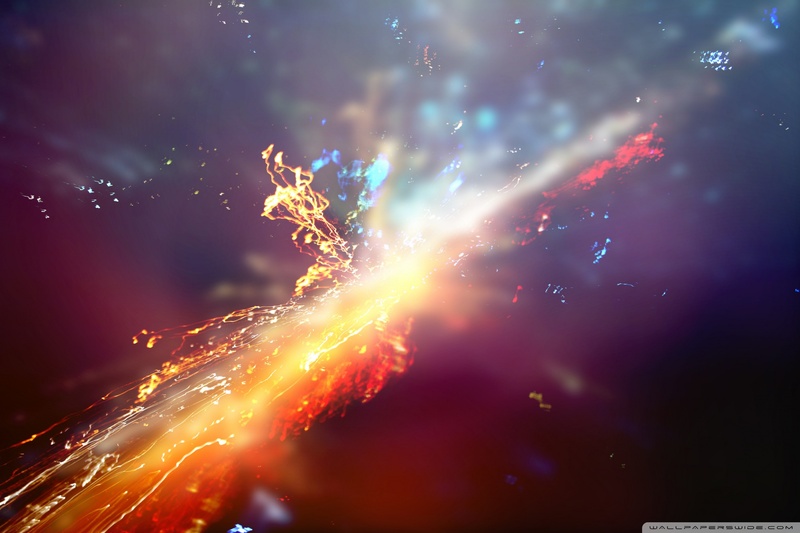 In the long run, it made a huge difference in my game-mastering. 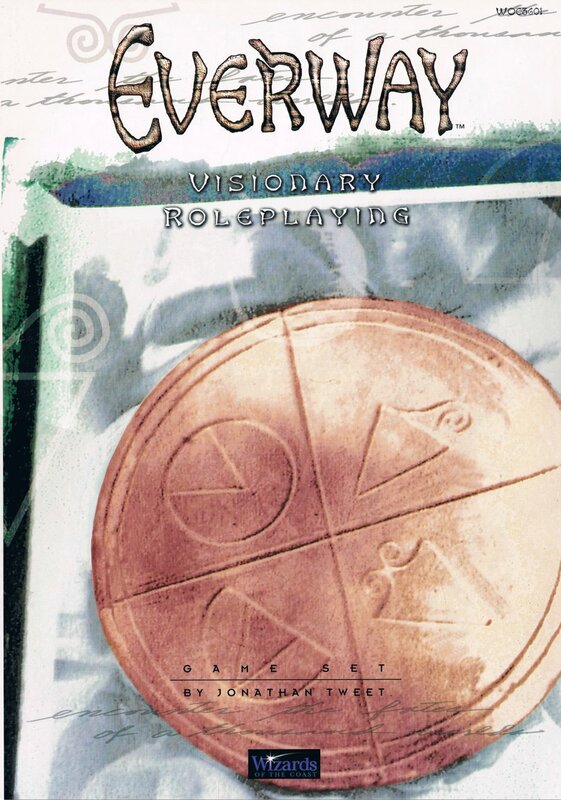 As a standalone game, my favourite fantasy title is Jonathan Tweet’s Everway (Wizards of the Coast/Rubicon Games/Gaslight Press). 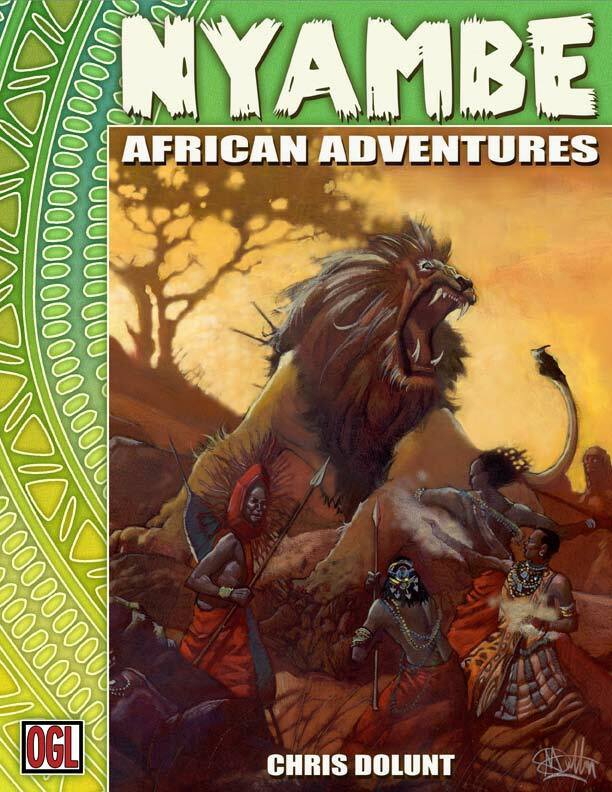 As a setting, it’s Chris Dolunt’s Nyambe: African Adventures (Atlas Games). 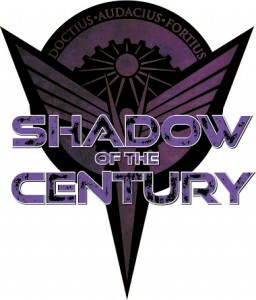 Shadow of the Kickstarted Action Movie! 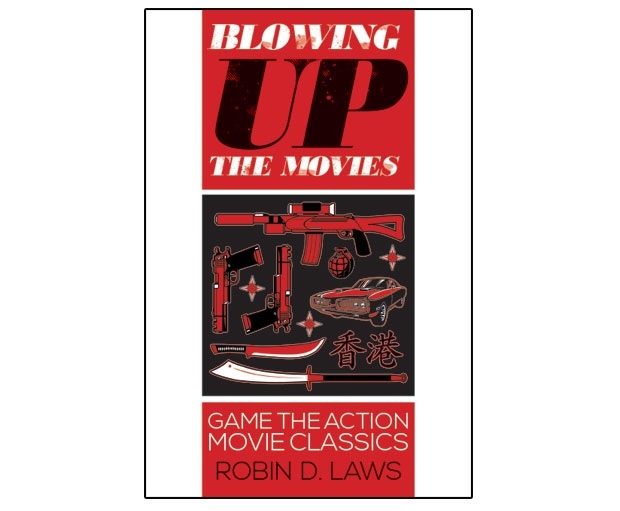 Earlier this week I received the ebook for Robin D. Laws’ Blowing Up the Movies, a backer reward for the recent Feng Shui 2 Kickstarter campaign. This morning I received the alpha playtest version of Evil Hat Productions’ role-playing game Shadow of the Century, which when released will be a backer reward for the Fate Core Kickstarter campaign. 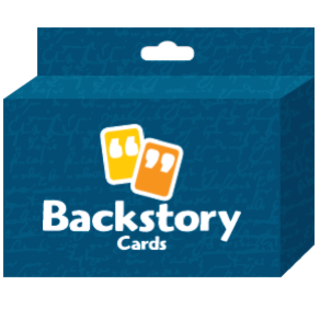 And when I got home tonight, Brooklyn Indie Games’ Backstory Cards, which I had purchased through Kickstarter, were waiting for me. 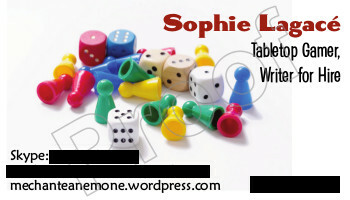 Tomorrow night, I’m having four players over for dinner and playtesting. We will use all three together and build us a giant badass of an 80s action movie!